Frank Iler for N.C. House – Brunswick County, N.C. It is an honor and a privilege to represent you in the N.C. House of Representatives. Since taking office, I have met, spoken or corresponded with citizens in all parts of Brunswick County. 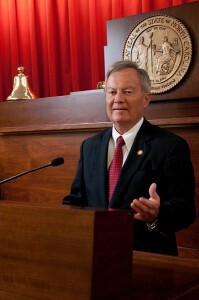 Representing you in Raleigh is a tremendous responsibility – one I take very seriously. As your State Representative, I will continue striving to be a strong voice for common-sense fiscal policies that make wise use of your tax dollars and reduce the burden on Brunswick County’s hard-working families and small businesses. Please visit this site often to stay informed about what we’re doing in Raleigh.